Straight from this years runways come the hues that we are constantly reminded of in nature, bringing us back a sense of vitality, relaxation and earthiness. From the warmth of sunny summer days to the bright, exciting greens of the budding forests, we are reminded of the awakenings of the earth after the winter sleep. 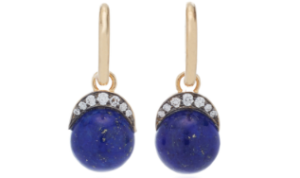 These beautiful colors of nature extend to the precious stones that are so on trend this year. Whether you are celebrating an anniversary or planning an engagement or wedding, this year you can break away from traditional colors and shapes and design a totally unique piece of jewelry that represents all the joy and beauty of your special occasion. 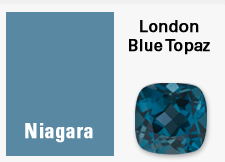 Niagara is dependable, elegant and casual, reminding us of a classic, deep denim-like blue that speaks to our need for relaxation and ease. 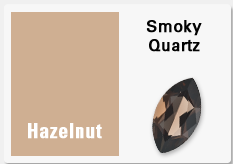 Hazelnut is earthy and moody, grounding us in unconventional beauty. 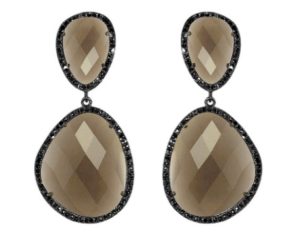 Smoky quartz is the perfect stone to celebrate a deep, long term relationship or wedding anniversary. The Flame color of the Mexican Fire Opal is not for the faint of heart. This design is for the fun loving, fiery personality, totally unstoppable. This engagement ring will show well with a white gold wedding ring. 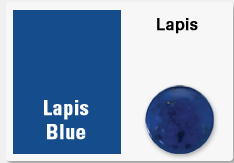 This Island Paradise shade is reminiscent of faraway islands, cool waters and relaxation. 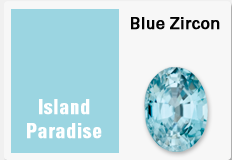 These Blue Zircon stones make wonderful anniversary rings and necklaces. 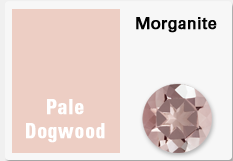 Pale Dogwood is pure innocence and gentleness with a quite, peaceful pink shade to the morganite stones. 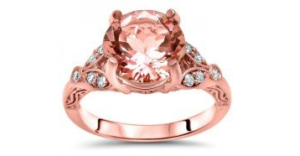 These beautiful stones are enhanced in pink gold and make very unusual engagement rings. 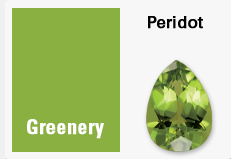 Peridot is a stone for the young, trendy and upbeat person. Exciting yet fresh and uncomplicated, this stone is magnificent when set into white gold with diamonds to add to the sparkle. 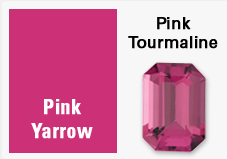 Pink Tourmaline is tropical and very festive, a temptress by all accounts. 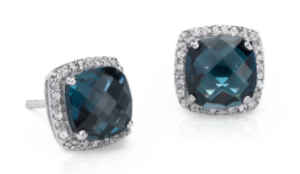 This color stone is bold,attracts attention and gets the adrenaline pumping. 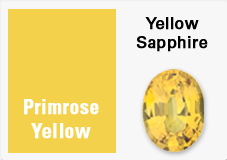 The Yellow Sapphire is fresh faced, joyful and reminds us of sunny, summer holidays. 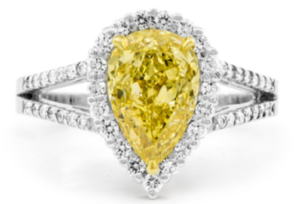 This stone is for a very perky, happy personality and is good set in yellow or white gold. 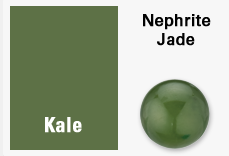 The deep green Kale color of the Nephrite Jade or emeralds, is evocative of the great outdoors and a healthy lifestyle, connecting you to nature and is a very lush, fertile color that blends with any color gold or diamond settings. 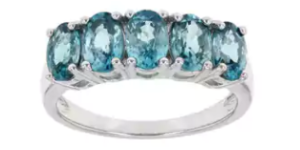 Andrews Jewelry Store in Centennial is one of the biggest diamond buyers, estate jewelry buyers and gold buyers, in Denver Colorado, offering a great selection of bracelets, anniversary necklaces, and engagement rings with quality stones, from large diamonds to uniquely colored gemstones. 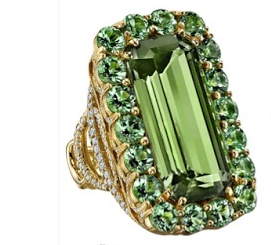 We also offer a vast selection of gold jewelry, wedding bands and vintage watches. 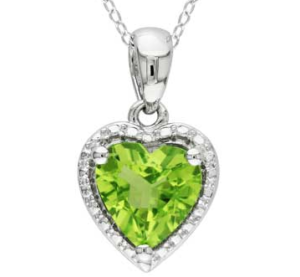 Come in and visit our treasure trove of jewelry where you will find the ideal piece to suite your personality!